Joseph Hopper (1892-1971) served as a PCUS missionary in Korea from 1919 to 1956. 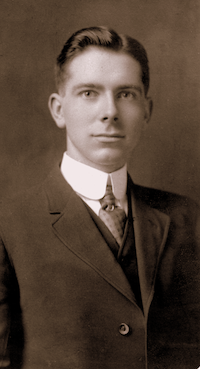 He was raised born in Stanford, KY on June 1, 1892 and attended Centre College, Louisville Presbyterian Theological Seminary, and Union Presbyterian Seminary (VA). He died on February 20, 1971 You can learn more about Joseph from other posts on this site. His son, Joseph (Joe) Barron Hopper (1921-1992) served as a PSUS and PCUSA missionary to Korea for 38 years. Having grown up in Korea, he returned to the USA to attend Davidson College and Union Presbyterian Seminary (VA). 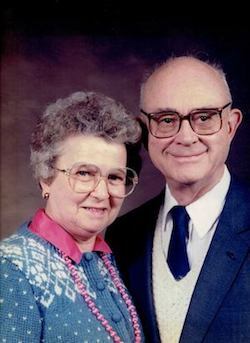 After several years in the pastorate, he and his wife Dorothy moved to Korea to join the mission. You can learn more about Joe from other posts on this site. Both men left behind a number of writings from sermon notes to seminary papers to books. Some of those works are provided here in scanned form. A talk my Joe gave about God-fearing women on the Korean mission field. Commentary and notes on the Book of Isaiah. This is a talk Joe gave at Covenant Presbyterian Church in Charlotte, N.C. which had supported them for many years. He summarizes the life of Joe and Dot in rural evangelist missionary work for their first 25 years in South Korea. This research paper analyzes the family structure and social organization on Korean village life in the mid-twentieth century. In particular, it examines "village family ties and their effect on church growth." Several outlines or manuscripts from sermons preached by Joe. Joe Hopper's memoir (published in 1999) recounting his thirty-eight years as a missionary to South Korea. Letters to friends, churches, and supporters regarding Joe and Dot's work in Korea from 1948 to 1986. Several outlines or manuscripts from a folder entitled "Missionary Talks". Brief biographies of eight reformers: Peter Waldo, John Wyclif, John Huss, Savonarola, Erasmus, Martin Luther, Ulrich Zwingli, and Ignatius Loyola. A sermon on the judgment of Solomon in 1 Kings 3:16-28. Sermon manuscripts organized by book of the bible. A lengthy treatise on the parables written early in Joe's ministry. Part 1 provides an introductory study of the parables: "The Parables as a Literary Medium", "The Purpose of the Parables", "The Distribution of the Parables", "The Classification of the Parables", and "The Interpretation of the Parables". Part 2 contains expositions of ten of Jesus' parables. Joe's 1951 Th.M. thesis from Union Theological Seminary. In this study, Joe examines the Holy Spirit in conjunction with five New Testament doctrines: Inspiration, Incarnation, Regeneration, Sanctification, and Ecclesiology. Gift of the Holy Spirit was especially for the carrying out of the Great Comission. A trust and responsibility to declare the terms of salvation. Open eyes and burning heart needed to carry out comission. An article on the second coming of Christ published in The Presbyterian Journal. In this booklet, Joseph presents the story of five Old Testament witnesses to Christ: Abel, Abraham, Moses, David, and Isaiah. Each chapter begins with an outline guiding the reader through Scriptural testimony regarding of the subject's life and his witness to Christ. This is followed by a discussion of each man's witness. In this lecture, Joseph argues belief that the "Scriptures of the Old and New Testament" is "the Word of God, the only infallible rule of faith and practice" is essential and central to the work of a minister. Several manuscripts from sermons preached by Joseph. A collection of columns written on the place of missions in Scripture. The first essay addresses the calling and mission of Abraham. This is followed by a discussion of missions in ancient Israel and moves through Scripture to Christ and the early church. An introductory outline on the book of Isaiah. A study of the progressive revelation of the gospel to unbelievers through Scripture.